The original organizers saw problems developing in the horse industry that, in their opinion, was not beneficial for the industry. These founders viewed the trend of emphasizing specialized horses was replacing the versatility of the horses in the past. Rider skills were also becoming specialized, relating only to a single discipline or event. There was not a link between a truly well-trained horse and the versatile horse that could perform many tasks. These organizers also recognized a need for affordable education for the many horsemen who wanted to learn to ride better horses, but their situation or location prevented them the opportunity. The idea of having a clinic preceding every competition has proven successful. It meets the need for providing affordable, standardized western stock horse riding and training clinics that are fun and challenging. 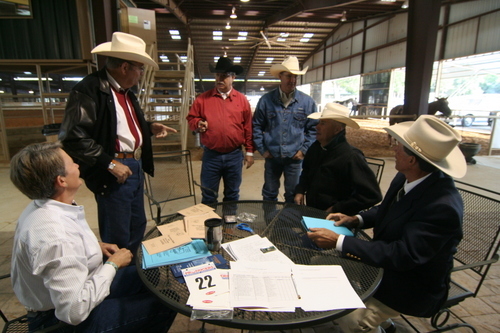 Having a competition the following day helps riders evaluate their progress. ASHA is relatively young as a national organization; but its programs including philosophy, educational methods, and competitions have been well tested in Texas before offering the program nationwide. The philosophy of how to measure the worth of a good stock or ranch horse and how to teach the skills is so sound and well accepted that national demand has led to the formation of ASHA. This type of non-traditional horse competition activity has experienced unparalleled growth in the past few years.